As a style blogger, I try to spark chats with people that embody a unique personal style, an overall presence that is unforgettable. For years I've been on this "embrace your individuality" movement, encouraging my readers to find a style that works "for her" -- and to feel completely comfortable experimenting with trends. Taliah of Fashion Was Here caught my attention, because she embraces [her own] style with confidence. Taliah has a keen eye for fashion, and a beautiful personality to match. 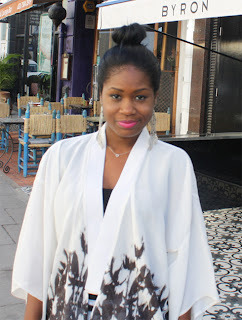 Read on; get-to-know Taliah, a real stylista! N: You’ve definitely mastered your ‘signature’ look! That being said, what inspires your overall personal style? T: Well I didn’t know I had a signature look. I often think about how people define my style, because it’s usually hard for me to put myself in a box. I feel like I can be all over the place, but overall, I think culture inspires my personal style. I love to be different and take from different eras and ethnicities. I especially love anything from the 70s, like the movies and biopic films that showcase that style. I am a big advocate of vintage, so a lot of times I like to mix that with modern pieces to complete my look. Also, anything beautiful and romantic can inspire my style, like anything from a Japanese Geisha, to a Sudanese model, to great music. I love that! N: So, for those who are in the midst of trying to develop his/her own personal style can you give some tips for success? T: I would say to stay true to yourself by going with what feels right. Make sure you know your sizes and body type and let the clothes compliment your look. So for example, if you have short legs you may want to stay away from ankle strap shoes, because they can cut off the length of your leg and make you look shorter. Solid colors also make people look taller. Try different things like wearing a hint of color with an all black ensemble or playing with prints. Read and study magazines that give tips on how-to style looks. Also, find a celebrity or style muse who has a similar taste, or body shape as you—and let them inspire you. That always helps. N: I understand that you have lots of love for classic pieces—and so do I! Which vintage stores do you enjoy shopping at? T: I love Wasteland in LA, Spitalfield and Bricklane Flea markets and Notting Hill in London, Screaming Mimis in Manhattan, this store in Brooklyn (can’t remember the name), Killer Trash and The Zone in Baltimore, and the Little Five Points area in Atlanta, GA.
N: What are some of your must-have staple wardrobe items? T: Black patent leather pumps, a nice chunky sweater/cardigan, of course a great blazer (I like all lengths), an over-sized bag (I love black), I love wooden bangles and other styles, cocktail rings, sequin top or dress (I love sparkly things) and I have to have a great pair of skinny jeans. N: Let’s switch gears and talk a little bit about your style blog, Fashion Was Here. Great name, by the way! What made you [want-to] create the site in the first place? T: Thanks! I originally started my blog in '06 and the name was inspired by one of my favorite artists, Kelis, from the title of her album, “Kelis Was Here.” I felt it was a great title, because I was leaving my mark in fashion...like my permanent signature. 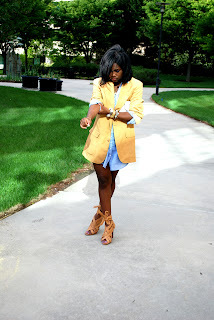 I have been into fashion for almost forever, so once I started seeing these blogs on the Internet, it was my opportunity to share my passion for fashion. It wasn’t personal at first, just random write-ups on “What’s Hot,” celebrity style, magazine editorials, and style spotlights. I wasn’t too consistent with it but my friends loved it and supported it, so that made me happy. [Laughs] It was fun to do but I just didn’t keep it up like I wanted to. Now I look at it as my job more than just a hobby, so I take my blog very seriously. N: The images of you on your style blog look professional. Who is the person behind the lens? T: Well sometimes it's my good friend Jason—and other times it’s random folks like my friends and co-workers. Honestly, whoever can click the button for me on the camera is who I will ask, by any means necessary. I don’t have a personal photographer yet, so it can get hard at times to have style posts. N: What do you like to do when you’re not blogging and talking about fashion? T: I love to cook or eat out. Trying on shoes and shoe shopping, reading and going to the movies are my favorite pastimes. I am also a huge Internet geek, so I stay browsing other people’s blogs, websites, and doing massive research. But lately, I’ve become a couch potato, so I love to watch my favorite shows on TV like Gossip Girl, Real Housewives, True Blood and movies I’ve seen over and over. N: So, what’s next for Taliah? Are there any exciting projects on the horizon? T: I am working on getting Fashion Was Here more features and sponsorships. I think it is vital to have more exposure and coverage for my blog so I can gain more readers and followers. I’m also going to launch an online store for my fashion readers to shop from my closet. There are so many supplements and additions I want to add to Fashion Was Here, but right now, I’m still working on the blog’s layout. I’m taking it day by day. 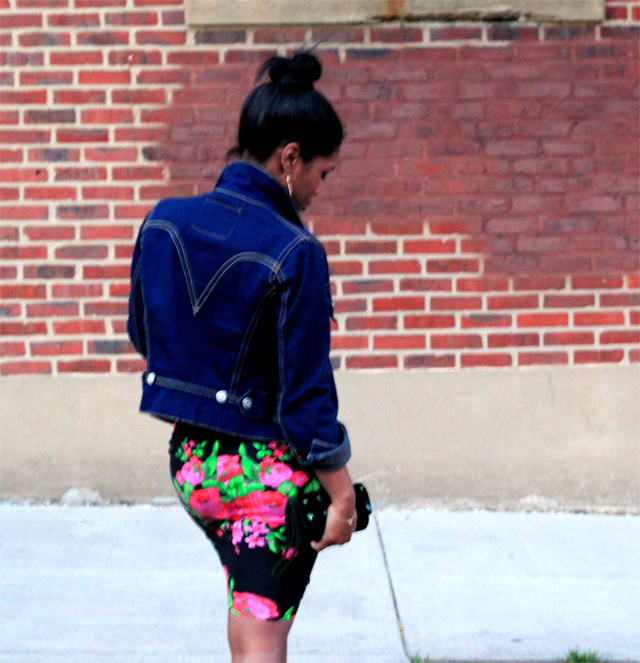 To see more of Taliah's personal style, visit Fashion Was Here. 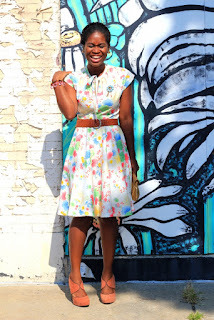 Amazing interview, I discovered her blog a few days ago to be xact AMAZING STYLE!